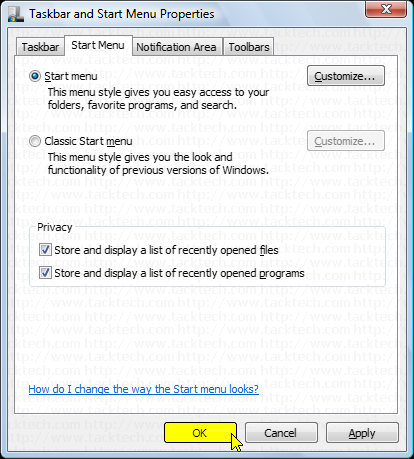 Add the Run command to the Start menu (Windows Vista) - TACKtech Corp. 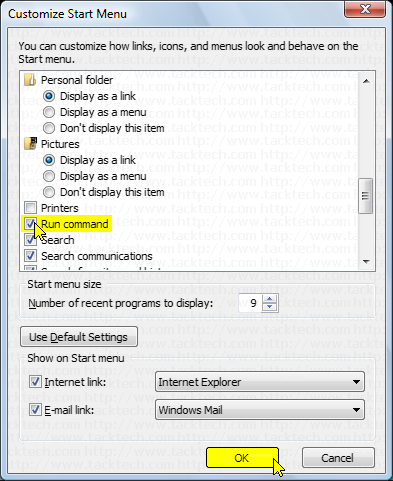 Problem: The Run command is not displayed on the default Start menu in Microsoft Windows Vista. Solution: The Run command can be added to the Start menu by following this Step-By-Step Guide. Right-Click on the Start Orb. 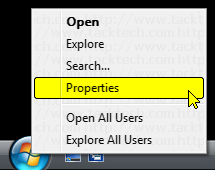 Left-Click Properties on the popup menu. Check the Run command checkbox.